This algorithm works well for students who are developing multiplication fact fluency. Students may begin using a template to solve multiplication problems, but they quickly learn to draw their own lattice matrix to solve problems. Students love the method and it is very successful with both whole numbers and decimals. Teach students this multiplication algorithm as one of many different algorithms they may elect to use. Read more about Lattice Multiplication and download lattice multiplication templates for student use with dry erase markers. 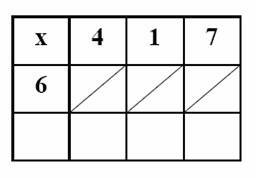 This multiplication method was developed by Napier. Students assemble "bones" for each digit and then "read" the answer between the diagonals as they learned to do in lattice multiplication. 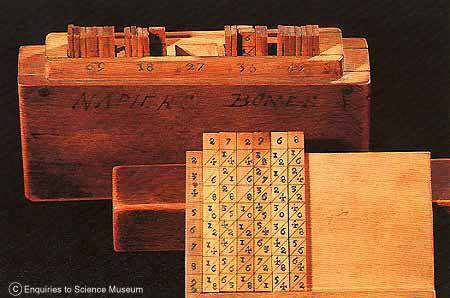 Try Napier's Bones as an enrichment activity once students are comfortable with the lattice multiplication algorithm. Download handout for Napier's Bones that students may cut out and use to replicate his multiplication method. 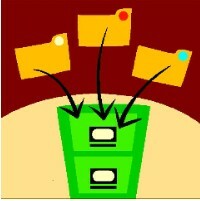 You can click on the file icon to the right or access this link at the top right of any page on the website.